It will not come as a surprise to anyone to realise there is a clear link between poor attendance and lower academic achievement. 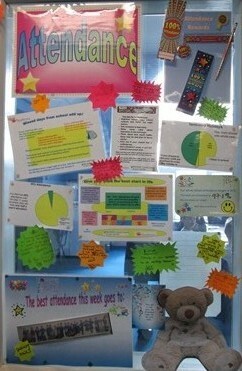 The Dereham Cluster is working tirelessly to raise attendance at every phase of schooling. 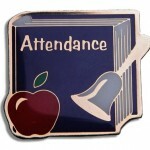 School attendance figures are calculated from the registers taken each day. This is at 8.50am and 1 -1.30pm daily depending on your child’s year.. This means each day is counted as 2 attendance sessions. If your child arrives late, after the registering period has closed, this will alter their attendance percentage. 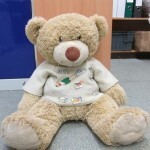 In the star of the week assembly every Friday the class with the best attendance for the previous week is announced and they get to look after the attendance teddy for the next week. 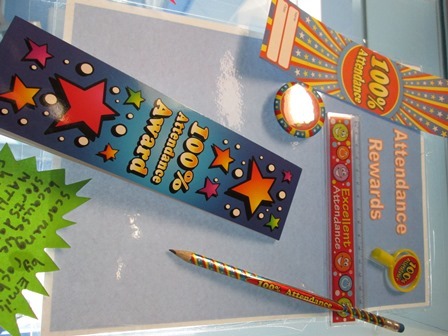 Each half term (so about every 6 weeks) all pupils that have achieved 1 00% attendance for that half term will receive a small reward. 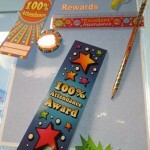 Previous rewards have been things like a 100% pencil, ruler or notepad. We issue these on a half termly basis to try and give as many pupils as possible the chance of receiving a reward. This is displayed outside 3B classroom. It shows the class with the best attendance for the last week and what our attendance level for the whole school was during the last week. The school council have added their thoughts on why good attendance is important, and the attendance half termly rewards are also displayed. 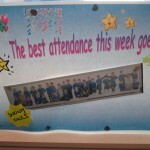 On each week’s newsletter is the attendance as a whole school for the previous week, and as separate classes. The class with the best attendance is at the top, the class with the lowest at the bottom. Classes over 97% will be shown in green, those below in red. At the end of each term you will receive your child’s attendance record. This will be using a traffic light system to highlight your child’s attendance. This report also includes a list of codes that explains what the different marks your child may receive are. Please take a moment to review your child’s attendance. You are very welcome to come and discuss any issues with us. Please be aware that very few absences are authorised, but where an absence is authorised it still shows as an absence. All absences are bad for a child’s education! 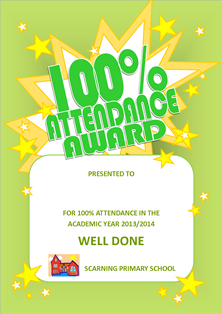 At the end of each school year certificates are issued to all pupils that have achieved over 97%. Those that have 100% will receive a special 100% attendance certificate. Please inform us if your child will not be at school for any reason using the absence form that can be found on our website or in the glass tunnel leading to the office. Each September a letter is sent to all parents explaining that no holiday will be authorised by the headteacher, unless in exceptional circumstances, and explaining the process if pupils are taken out of school for a holiday. A copy of this letter is also on the back of the absence notification form. All of the Dereham Cluster of Schools (17 in total, including 2 high schools) have agreed to this. 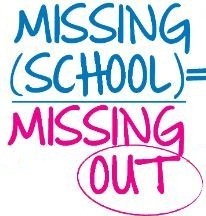 Please inform us if your child will not be at school due to a holiday using the absence form. You will receive a letter advising you if the holiday has been authorised or not. If the holiday is not authorised and is eligible for a fine you will receive a fine from Norfolk County Council. These can take a couple of months to process from the date of your holiday. A session is a morning or afternoon; a whole day is therefore 2 sessions, a week is 10 sessions. Please refer to the letter sent each September for the current information relating to when an absence will be fined. If the holiday is dealt with by a fine then no further action will usually be taken by the school, unless your child’s overall attendance is very poor. 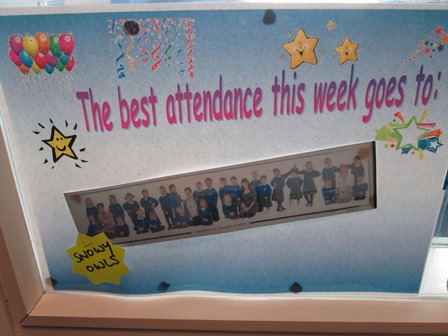 When Attendance Does Not Go So Well…..
At least once a term we review pupils with an attendance level of less than 92% . This is because Norfolk has set the persistent absence rate at 90% – by looking at 92% we hope to be able to work with families to quickly improve attendance. 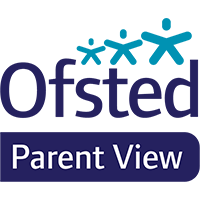 Following this review parents/carers of pupils with less than 92% attendance will either be asked to attend an attendance panel meeting at school, or receive a letter explaining that we are concerned about attendance. The aim of both of these actions is to improve attendance. If you do receive a letter we will review your child’s attendance the following term and write to you again – hopefully with an improved attendance. If we are unable to improve your child’s attendance you may be put forward for a Fast Track attendance panel which is a legal process which may involve the courts and or fines. What Happens During An Attendance Panel Meeting? 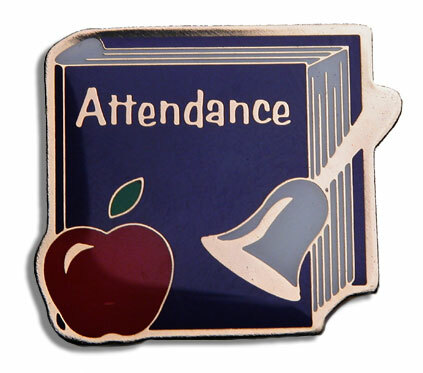 All attendance panels held at school will follow the same format. 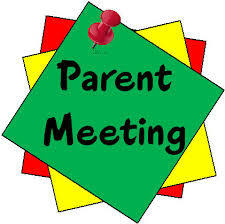 Parents/carers will be sent a letter inviting them to a meeting. You will get at least 7 – 10 days notice of the meeting. We strongly recommend that you attend this meeting – the meeting goes ahead regardless of whether you attend or not! Attendance meetings will usually have the head teacher, the school governor for attendance and the school secretary present. You will be given the opportunity to discuss why your child’s attendance is low. We will see if there any support we can offer to help to improve attendance. A list of agreed targets will be set. A review date will be set. Another attendance panel meeting will be held to see if the targets have been met and attendance improved. Depending on the outcome of this review meeting another review meeting may be called. A signed copy of the meeting and actions plans will be issued to all in attendance – if parents/carers do not attend a copy will be sent home.